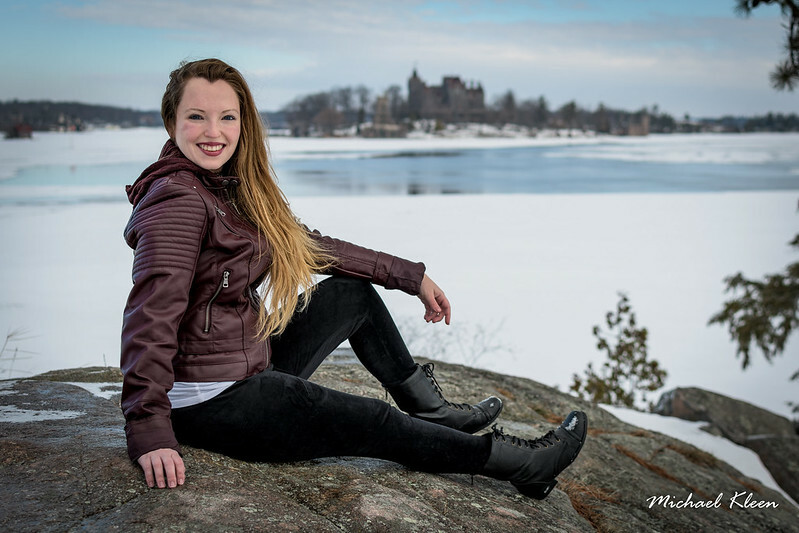 In this series, model Bri O poses along the St. Lawrence River, mostly with Boldt Castle in the distance. 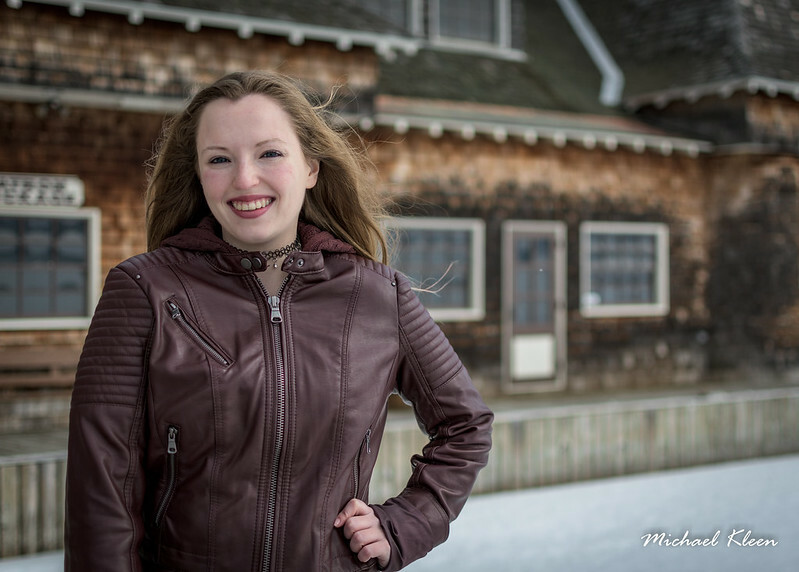 We took some pictures at the wooden gazebo at the Thousand Island Marina on Wellesley Island but only a few came out. This is my favorite spot on the St. Lawrence. I love the history and romanticism of Boldt Castle. Bri’s jacket also contrasted nicely with the snow. Next Next post: My Friend Dahmer: Am I Missing the Point?